Even more congratulations are in order, this time to Redline Guiding Mountain Guides Liz Wyman and Álvaro Marques for also completing their schooling and earning their Wilderness First Responder (WFR) certifications. As noted, since protecting our guests and others we may lead by being ready to meet their basic emergency medical needs in the mountains is critically important (and a requirement before leading), we are extremely pleased to be able to make this announcement. 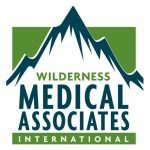 The schooling is tough but those folks at Wilderness Medical Associates do manage to fill every void in your brain with valuable backwoods medical know-how, and they do this in an even shorter time with their accelerated format. Now let’s hope they never need to use it. Again, Álvaro and Liz, a hearty congratulations!